NEW BEDFORD, Mass. — Southcoast Health announced today that the Southcoast Visiting Nurse Association (VNA) will host a screening of Defining Hope at Regal Cinemas in Swansea, Mass., on November 1 at 7.p.m. in honor of National Hospice and Palliative Care Month. Defining Hope is a new documentary following eight patients with life-threatening illness and the nurses who guide them. It explores what makes life worth living and what to do for ourselves and our loved ones as we get closer to the end of life. Through the stories of patients, families, nurses, and healthcare professionals, the conversation around quality end-of-life care is brought to the forefront. Defining Hope is produced by Carolyn Jones Productions, the same team that created The American Nurse Project, an award-winning photography book and documentary film celebrating nurses. Defining Hope is made possible through the generous support of the Jonas Center for Nursing and Veterans Healthcare, the American Nurses Foundation, Jeannie Patz Blaustein, The E. Rhodes and Leona B. Carpenter Foundation, and Walden University. To learn more about the film or to purchase tickets, visit www.hope.film. Carolyn Jones Productions is best known for producing socially proactive documentary films and photography, using a variety of media tools to create projects that point our attention toward issues of global concern. From people “living positively” with AIDS, to women artisans supporting entire communities, and nurses on the frontlines of our healthcare system, Carolyn Jones Productions is devoted to celebrating invisible populations and breaking down barriers. Jones’ most widely acclaimed book publications include Living Proof: Courage in the Face of AIDS and The American Nurse, which led to a feature documentary included in the U.S. State Department’s American Film Showcase. 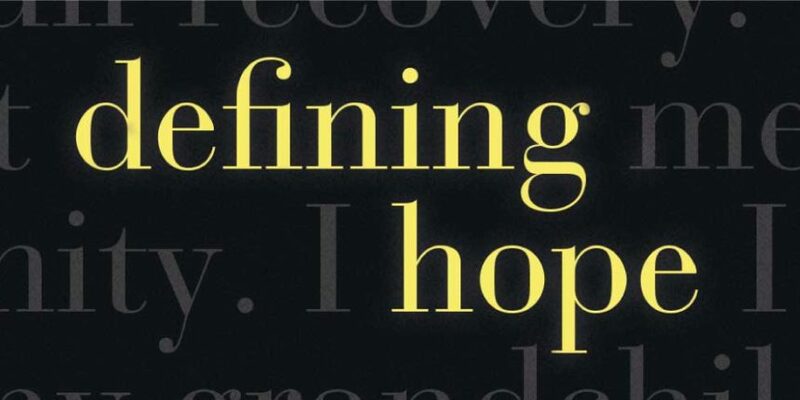 The company’s newest project, the documentary Defining Hope, is the culmination of a journey investigating how we can make better end-of-life choices. For more information, visit www.carolynjones.com and watch “A Tribute to Nurses” www.ted.com/talks/carolyn_jones_a_tribute_to_nurses.